If variety is indeed the spice of life, then Des Dowling’s career is a vindaloo of life threatening intensity. He spent the early years of his career as a news and current affairs reporter for the ABC, Channel 7 and Channel 9. Des decided making people laugh, rather than making them cry, was a far more noble way to earn a living. In the twelve years since, he’s carved out a career as a top line comedian and corporate entertainer travelling the length and breadth of Australia. He’s headlined at Australia’s premier comedy clubs and performed his own sold out comedy/sketch show at the Melbourne International Comedy Festival. 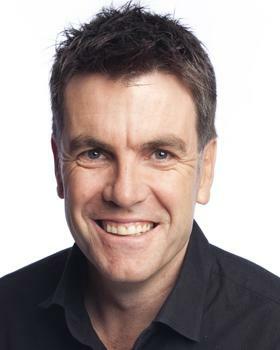 Combining his comedic and television skills he worked for two years writing and directing sketches for the hugely successful AFL Footy Show and wrote and directed three half-hour documentaries for Arena Television’s Day In The Life series. He also wrote and directed Ch 10’s, Logie nominated, comedy mockumentary series Mark Loves Sharon. When he’s not behind the camera, Des is in front of it, working as a presenter on Ch 7’s Kinne and Look at Property as well as Ch 9’s Manspace. Des is meticulous, intelligent and very funny, and an asset to any event as both a host and a stand up comedian.